Would you like to have asbestos removed or analyzed in your home or business, call Stephens Environmental. Our asbestos abatement contractors can control any size removal job in San Francisco. Prior to starting a renovation or demolition contact our asbestos removal professionals before you begin. We will have one of our accredited consultants get in touch with you to arrange a time to assess what needs to be done. 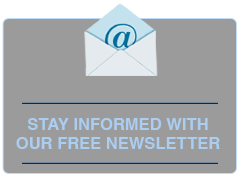 All information and quotes are totally free. A vital move is to locate a company within San Francisco that you trust. Our company is here to offer that solution. All sorts of issues are resolved with Stephens Environmental. Our company takes care of commercial and residential projects. We have licensed asbestos abatement contractors who can take care of jobs like asbestos siding removal, roofing, insulation, floor tiles, caulking, as well as asbestos in popcorn ceiling tiles. Having removed asbestos properly and successfully in a variety of San Francisco homes, we can do the same in your home. Should you worry about if the building materials within your house or company possess asbestos? If that's the case, you shouldbe informed on having San Francisco asbestos testing be performed by P.W. Stephens. Whether you live in San Francisco or out of the area, we’re often able to test and remove asbestos. Asbestos is a naturally occurring fibrous substance which is used in lots of applications due to its fire resistance, noise insulation and electrical insulation properties. Common uses before mid-1970s included building products for example pipe insulation, acoustical sound-proofing, house insulation, fireproofing, house siding, floor coverings, roof materials and heating and cooling systems. P.W. Stephens is a legitimate leader in the asbestos environmental industry. Each of our asbestos removal handlers which actually work in the San Francisco, California area are experienced, qualified, and licensed to handle your house or company environmental problems. 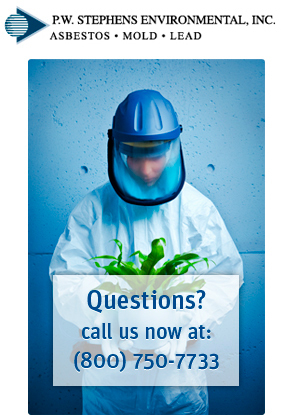 Phone 1-800-750-7733 to book an appointment with one of our asbestos testing specialist today. We carry out a complete assessment of your home to the possibly of having asbestos fiber materials. Asbestos is found in a number of building materials including insulation, plaster, floor or ceiling tiles, plaster, ductwork, roofing shingles, adhesives, and more. These types of materials are not dangerous if it's in good condition and undisturbed. They simply turn out to be dangerous if the materials are disturbed or damaged so that asbestos fibers are discharged in the air where they could be inhaled. Inappropriate removal might increase the health risks to you and your family. Testing for Asbestos- having asbestos testing performed will confirm whether you have asbestos materials or not. Based on the range of areas of concern, a sample will be taken and transported to a lab which is certified to research harmful materials. As soon as the results are in, then a course of action will be established. You can expect complete line of asbestos services for all your needs. Asbestos is categorized by the U .S. Federal Administration as a carcinogen. It was actually used in flooring and building products for years. Asbestos is a naturally occurring mineral previously utilized in building materials generally as an insulator or fire retardant. Today, asbestos is well recognized as a health hazard. Though it is critical to remove asbestos, its removal is incredibly governed in order to protect public health. You must obtain a permit for asbestos removal. P.W. Stephens is a reliable business with many years of experience. Our focus is on a healthy living environment and our full service solutions offer this to our San Francisco customers. The removal and abatement method is carried out by one of our regional San Francisco asbestos removal handler's and follow city & state regulations. A local San Francisco disposal company handling toxic waste are permitted to remove asbestos. We offer safe asbestos removal within New York City. For a free asbestos removal quote and consultation give us a call at 1-800-750-7733. Asbestos removal regulations provide guidelines for the safe removal of asbestos. Starting in the 1900s up until the 1970s, residential and commercial construction jobs in San Francisco, California and throughout the country used asbestos materials in more than 3,000 building products. Asbestos fibers are likely to break easily into incredibly tiny size particles which can float up and stick to clothing. The fibers may be easily taken in or swallowed can certainly cause serious health concern. Persons exposed to asbestos have developed several types of fatal diseases, including mesothelioma and lung cancer. Although the use of asbestos and asbestos products has dramatically decreased, they are still seen in many residential and commercial properties and continue to pose a health risk to workers and others, which is why asbestos removal companies such as P.W. Stephens are so necessary within San Francisco, California. You can be certain that our asbestos removal experts within San Francisco will seal off and pack asbestos material in a 6-mil plastic bag. We ensure that sharp sides will not perforate the bag when handling. Any debris that is punctures the plastic won't be permitted by the waste disposal site. 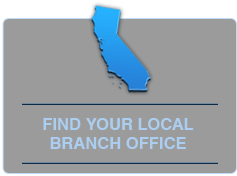 We always abide by to the strict guidelines set up by the town of San Francisco and the state laws of California. For a free of charge asbestos removal quote and assessment give us a call at 1-800-750-7733.